if:book UK is involved in an exciting and innovative project: The Global Hamlet – and asking for your help, Dear Reader, in promoting this project to people who would love to be involved with it. The Global Hamlet is the first, major attempt to produce a people’s translation, annotation and illustration of a great, internationally-renowned literary work. Hundreds of thousands of people all over the world will contribute to translating and annotating Hamlet in many languages. Participants will also be invited to produce drawings representing scenes from the play in the great tradition of Hamlet’s illustrated editions, and to contribute video/audio content. 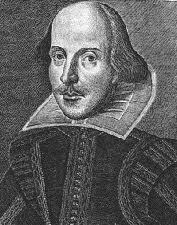 Everyone can participate, anyone can try translating and annotating a verse, under the guidance of leading editors, as, from the ground up, we create the highest quality editions of Hamlet. The Feltrinelli Group in Italy, Editorial Anagrama in Spain and South America, Athenaeum Uitgeverij in the Netherlands will publish the Italian, Spanish and Dutch editions in autumn 2014. Publishing deals are currently being finalised in the UK for the English language edition, and elsewhere. In the meantime, we’re building a community through Facebook – http://www.facebook.com/pages/The-Global-Hamlet/222634881191777?fref=ts – and Twitter - @TheGlobalHamlet. 4. contribute comments, content or links to Hamlet or Shakespeare-related resources online to our Facebook page.